Whitgreave Junior School has recently been awarded the sum of £1000, for the achievement of a Pupil Premium Award 2015, by the Rt Hon David Laws MP, Minister of State for Schools. The school has been selected due to the fact that it has been identified as one of the most improved schools in the country, in terms of the attainment and progress of disadvantaged pupils. Whitgreave is very pleased to announce the achievement of the Primary Science Quality Mark. School achieved this award on 30th April 2015, in recognition of the improving provision, practice and performance in respect of the teaching and learning in Science across school. At Whitgreave, we believe that our partnership with parents is crucial and of paramount importance to the good progress that our children make within school. As a school, we have worked exceptionally hard to develop an effective relationship with all of our parents and carers, through regular, on-going communication, a number of special events and also through our Parent Workshops and Curriculum Events. Our Parent Surveys clearly demonstrate our positive relationships with parents and carers. As part of our on-going work on parental engagement, Whitgreave achieved the ‘Leading Parent Partnership Award’ in the Summer Term 2017, following re-assessment. At Whitgreave, our ‘Eco-Warriors’ meet on a fortnightly basis, to work towards the achievements of various Eco Projects. Our Warriors plan and deliver activities within the school grounds and also, within the local community, often working with Eco-Council pupils from other local schools. School has recently been awarded the ‘Silver Eco-Award’ and the Warriors now working towards achieving the Gold Award. Whitgreave is very pleased to announce the recent achievement of the Basic Skills Quality Mark, for the second time. The School achieved this award in recognition of the quality of provision, practice and performance in respect of the ‘basic skills’ for Literacy and Numeracy. The Basic Skills Quality Mark is awarded for 3 years. Working as part of a team is of paramount importance to all at Whitgreave. All stakeholders, including pupils, parents, staff, The Governing Board and all other partners in education, work very closely together, in order to give our pupils the very best. Therefore, Whitgreave is pleased to announce the recent achievement of the Investors in People Award. School achieved this award in March 2016, in recognition of all of the work carried out within school to develop and enhance all aspects of teamwork. We are all very proud of this achievement, as Team Whitgreave achieved the GOLD Standard! 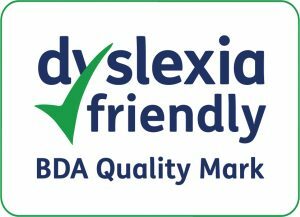 At Whitgreave, we have worked really hard to gain the British Dyslexia Award Quality Mark. We have achieved this award because we strongly believe that by implementing the actions to support our Dyslexic children, we can also benefit all learners within our school.